Yesterday, we went on our very first official whole-family bike ride. The kids and I have had bikes for a while, but we haven’t had one for Carolanne until very recently. 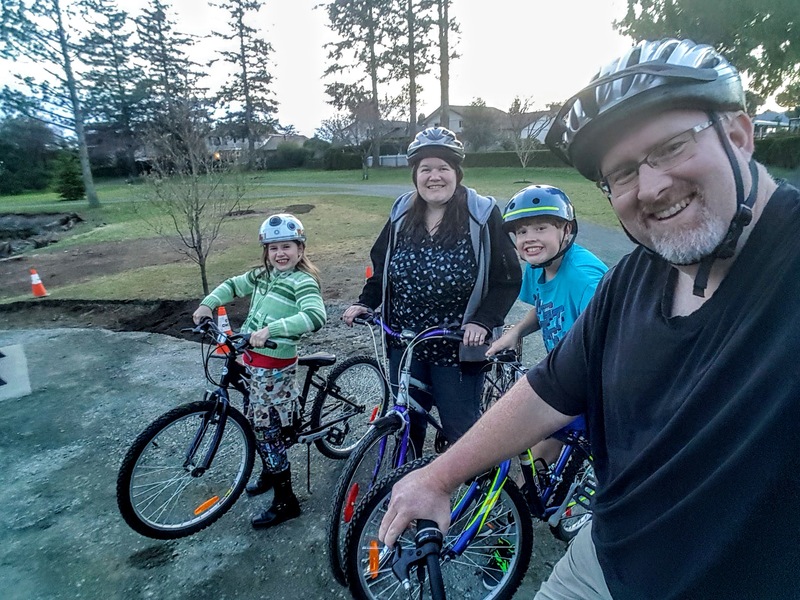 As a result, we’ve never gone biking all together as a family. It was fun to be able to get out and bike all together! Carolanne found a very good deal on a used lady’s bike being sold by one of her friends. Also got an upgrade for Julia. It was kinda a cool provision from God. Carolanne was able to sell Julia’s smaller purple bike for exactly the same price as hers and Julia’s new ones together. To the penny.